The KBS HYBRID shaft delivers versatile performance suited for players desiring mid to high trajectory, spin control and a smooth feel. By selecting steel, players eliminate the inconsistencies inherent in multi-material designs like graphite ensuring tighter shot dispersion and seamless integration with their irons. 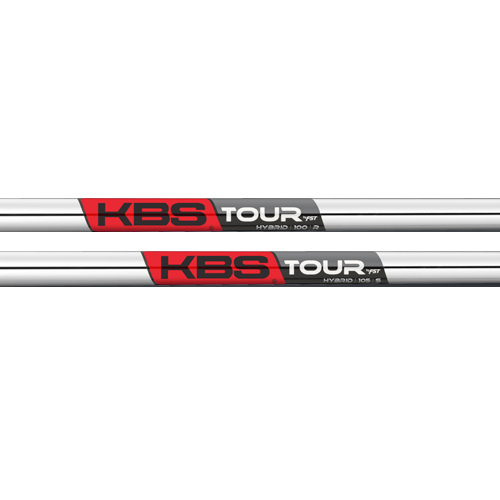 The KBS HYBRID shaft takes advantage of both while packed full of player preferred KBS technology. 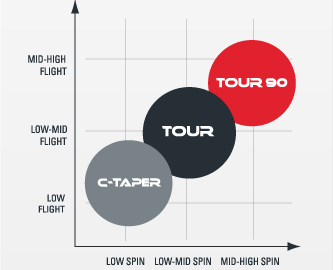 Available in three flexes and weight categories ranging from 110g to 130g -- the KBS HYBRID shaft is a versatile fitting solution for better hybrid performance.